If you need to assess as many loci as possible without spending your budget on large data-files and complicated data-analysis, GenomeScan can provide the SeqCap Epi (Roche) application. This technique uses hybridization capture usually carefully designed probes, reducing the part of the genome that must be analysed to solely the relevant loci. With SeqCap Epi you can choose your own content or select the CpGiant Enrichment Kit. This off-the-shelf probe-set interrogates over 5.5 million methylation sites per sample at single-nucleotide resolution. This kit can serve as a screening tool to identify specific regions in the genome for methylation variation assessment. Capturing of known differentially methylated regions vastly reduces the sequencing output required to analyze the whole methylation landscape, compared to whole genome sequencing. Furthermore, it enables you to observe the methylation changes on both strands, while you can still study the SNPs in the targeted regions. Our ISO/IEC 17025 (L518) accredited workflow starts with only 10 ng of genomic DNA, due to a proprietary sample preparation method. This is a dramatic reduction of the 1000 ng that is recommended by the manufacturer. Cell-sorted DNA or serum- and plasma-derived cell free (cf)DNA can easily be analysed with this lowered input quantity. An off-the-shelf capture kit for targeted methylation sequencing. The fixed epigenome-wide design interrogates over 5.5 million methylation sites per sample at single-nucleotide resolution. This greatly surpasses the content of the MethylationEPIC BeadArray or ‘850K array’. Target capture kit to customize the probe-set -up to 90Mb- to assess only the relevant part of the epigenome. 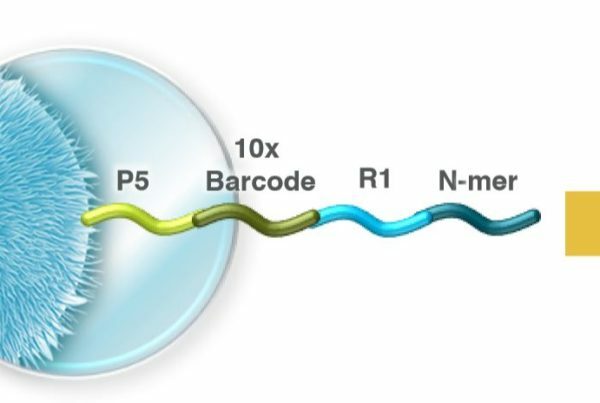 Customizable probe pools that can target any organisms’ bisulfite treated genomic DNA for targets up to 210 Mb or human targets between 90 and 210 Mb. Of the shelf panel with >5.5 million methylation sites connected with disease and development.